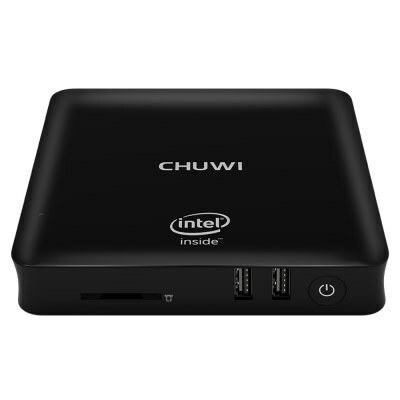 The Chuwi HiBox is a compact mini PC that runs both Windows 10 PC and Android 5.1. It’s powered by the quad core Intel X5-Z8350 Cherry Trail SoC. It also features 4GB of DDR3 RAM, 64GB of onboard storage, b/g/n wifi, Gigabit Ethernet and Bluetooth 4.0. Inside the box you’ll get the Chuwi HiBox Mini PC box, power adapter, HDMI cable, bracket, screws and an English instruction manual.